Acne is not a problem only for teenagers, it can occur anytime irrespective of the age. The major reason behind adult acne is hormonal imbalance in the body and is becoming increasingly common in women in their late 20s, 30s, 40s, as well as in the 50s or at menopause. Hormonal acne usually occurs first and foremost around your mouth- on the chin, which appears under the nose, around the sides of the mouth and jawline. According to the best IVF doctors in India, hormones that are not finely balanced result in suboptimal health in our bodies and therefore put an impact on our quality of life. How to promote hormonal balance? Eating a rich and nutrient-dense diet: In order to produce healthy hormones, you must consume high-quality sources of protein and fat. Such sources of healthy protein hormones include meat, chicken, eggs and fish. Changing the way you live: Lifestyle modifications like indulging in regular workouts, yoga and staying stress free also helps a lot in the treatment of hormonal acne. Getting your medical conditions treated: In many cases raised testosterone levels in the female body due to insulin resistance and polycystic ovary syndrome (PCOS) may be the cause. It is advisable to seek expert consultation at the best IVF centre in Delhi to seek correct and timely treatments. Supplementing with medications: For women when it is due to menopause, the doctors prescribe them with medications depending on the intensity of your condition and your health. For mild hormonal acne, along with balancing those hormones, your doctor might advise you to follow a dermatological treatment comparable to that of moderate adolescent acne. They might suggest you of taking some over-the-counter items that contain salicylic acid or a cream that consists of benzoyl peroxide (2.5 – 4.5%) and an acne wash.
Hormonal treatments such as hormonal acne diet plan and medications such as birth control pills and prescription antibiotics under the guidance of an expert doctor is important for keeping those hormones well balanced. If you still have doubts regarding hormonal balance and cyclic acne? 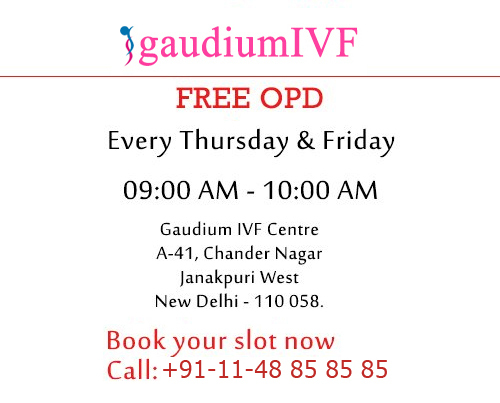 We recommend you to contact Gaudium IVF, the well known clinic for providing advanced infertility treatments in Delhi.